Hot tub retailers around the UK care are risking prosecution and could be harming customers and staff, one of the founding fathers on the UK industry has warned. 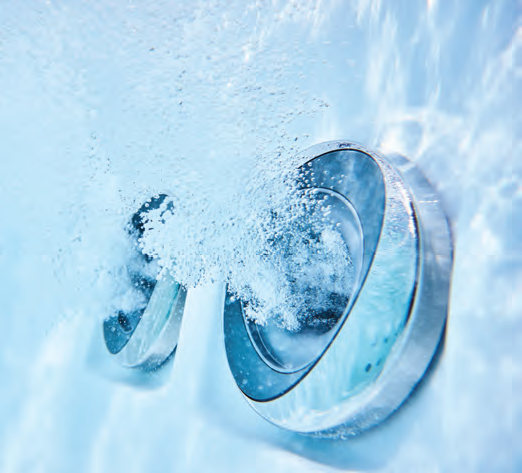 Simon Hallett, who founded the British and Irish Hot Tub Association, now part of the BSPF umbrella organisation, believes less than 30% of the industry are following HSE guidelines on testing hot tubs currently on display in shops and showrooms. He believes it is only a question of time before an incident occurs which will tarnish the reputation of the industry as a whole. “BISHTA wasn’t started to be a money maker but to protect our customers, staff and our industry,” says Simon, who founded BISHTA and was its first chairman. “We all got notified about the HSE requirements but not everyone has acted upon it,” Simon continues. “I do not think many of the industry has adopted these guidelines at all,” he adds. The guidelines Simon is referring to are the latest version of the HSE online only publication HSG 282 that was published in May 2017. These guidance notes, clearly specify the need for microbiological testing of display models, a monthly requirement, together with a quarterly legionella test. These all have to be carried out by a UKAS approved laboratory. Simon’s Happy Hot Tubs brand owns and runs multiple showrooms and is diligently following the testing procedures. He says shops and showrooms are risking prosecution and causing harm to customers who are unaware of the dangers. “Happy Hot Tubs are fully compliant with this [HSE] and all our six showrooms are monitored and tested by an appropriate company. “Rigorous, authorised testing, is too expensive for your discount tub outlets,” Simon continues. “However, a meaningless BISHTA badge on their promotional material is a very cheap option,” he adds. “It lessens the meaning of being a BISHTA member for all of the dealers who want to sleep at night with a clear conscience by running their business with integrity.” Simon is calling on BISHTA to be more pro-active and ensure all members are following the HSE guidelines. Simon Atkins, a micro-biologist, believes hot tubs are very much on the HSE radar and is warning retailers to conform or face being shut down. “There is a problem,” Mr Atkins confirmed, saying three show sites he had visited, in the past six months, had failed testing and had to take immediate action. “It is no good relying on dip testing,” he warned. “Some display spas are nothing short of biological soups,” he said, saying retailers are being put off testing as it costs £35 to £55 for each water sample to be tested. “The costs can quickly add up when you are visiting a site with multiple hot tubs,” he points out. The estimated number of hot tub show sites in the UK is about 800. BISHTA has confirmed, of its 130 members, 87 have showrooms – some on multiple sites. The organisation, part of the BSPF umbrella, has produced a range of fact sheets available to its members, and some of the relevant advice is from BISHTA Factsheet M010: “Once on display, the water needs to be tested at least three times a day and records of the chlorine/bromine and pH should be kept for over five years. Disinfectant Residuals and pH values should be maintained as for domestic use.” BISHTA say it is the responsibility of the member company to manage their testing as a legal requirement set out by the specific legal HSE requirements. BISHTA emphasises, it supports its members with self inspection sheets, and when visits are made to see members, this is discussed on an inspection sheet to reinforce the importance.